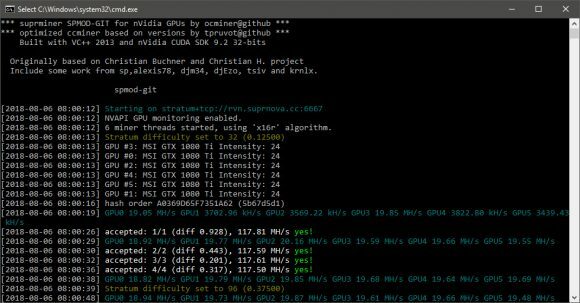 It has been a while since sp has released open source and free code for a faster miner, but better late than never. The latest Raven x16r/x16s Spmod-git #5 (source) promises 10% increase in performance over the previous release for X16R and X16S algorithms thanks to numerous optimizations to the used algorithms like echo, shabal, simd, sha512, fugue, shavite, groestl and skein. The latest version also has added support for higher intensity values, so you can experiment with that to maybe squeeze some additional performance. The Github repository only has an official Windows binary, 32-bit CUDA 9.2, so if you need something else you would need to compile from source yourself. 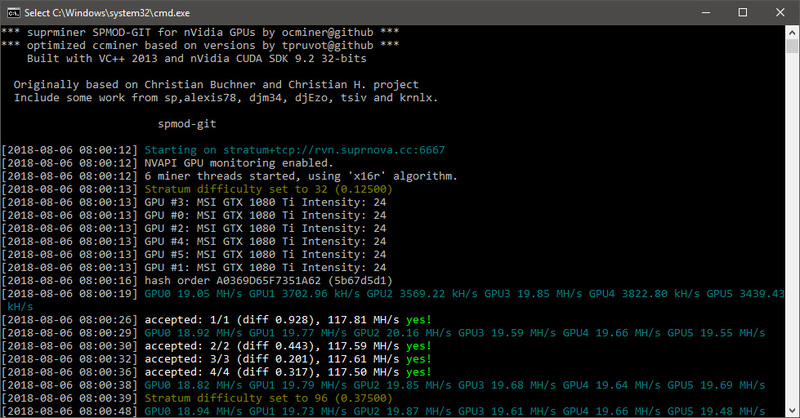 Comparing the performance of the new Raven x16r/x16s Spmod-git #5 miner to the recently released z-enemy 1.14 miner it is still a bit slower. Maybe it is on par with the previous release 1.12 of z-enemy in terms of hashrate, however you should not forget that the z-enemy miner is a closed source one and comes with a built-in 1% developer fee, while, surprisingly, the Raven x16r/x16s Spmod-git #5 miner is free, open source and with no dev fee.